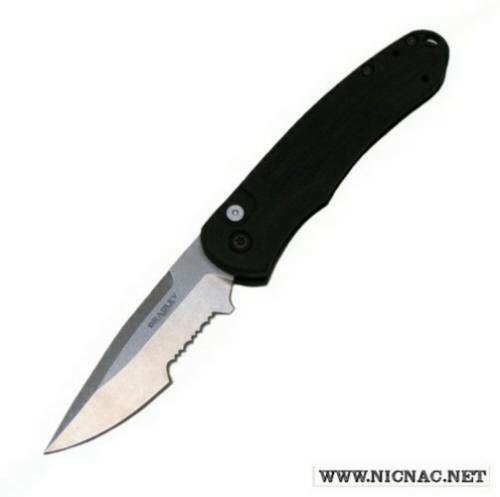 The Bradley Alias II Small automatic knife has a 2.9" blade with an overall open length of 6.8". Closed this side opening knife is 3.8" and great for poket carry as it features a deep carry clip and a safety that is on the knife's spine. The black anodized aluminum handles have three virtical grooved for great gripping power and the drop point blade is an S30V stonewash serrated blade which will work for you as a great utility knife.